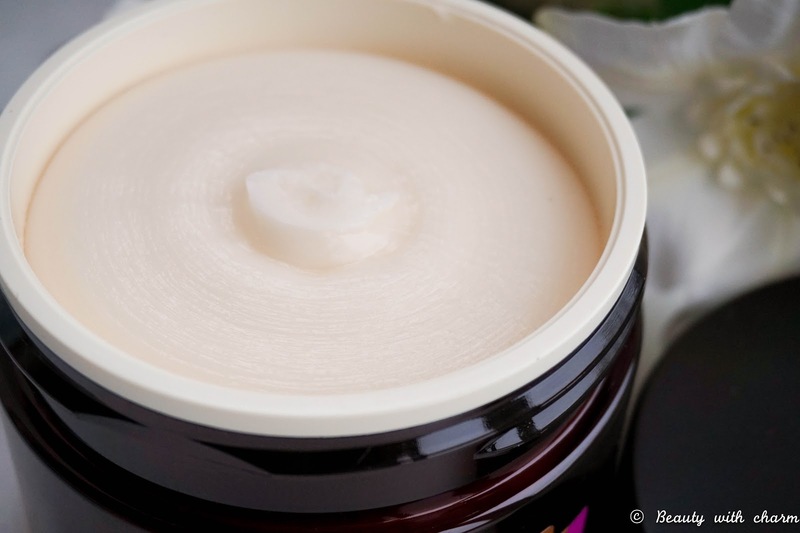 The Body Shop have done it once again... they have released a brand new body range that is currently being raved about in the beauty world & the blogosphere alike. Of course I'm talking about the new Spa of the World range which focuses on 3 different rituals so you can create your very own perfect spa treatments at home. This range is super lush & luxurious from the packaging to the actual products inside and they really do create a spa like atmosphere from the moment you crack open your products as they smell amazing & very relaxing too. This new body care collection has been inspired by traditional beauty rituals from across the globe, which is such an amazing concept. With the three different rituals available, there is literally something for everyone... so if your body needs to be awakened, cherished or calmed, The Body Shop have got you covered. I personally opted for the Relaxing & Calming Ritual, because that's what I personally think of when I imagine being in a spa. I was eager to give this particular ritual a try since the motto is all about finding 'a perfect way to de-stress, unwind and reconnect with body and mind'. 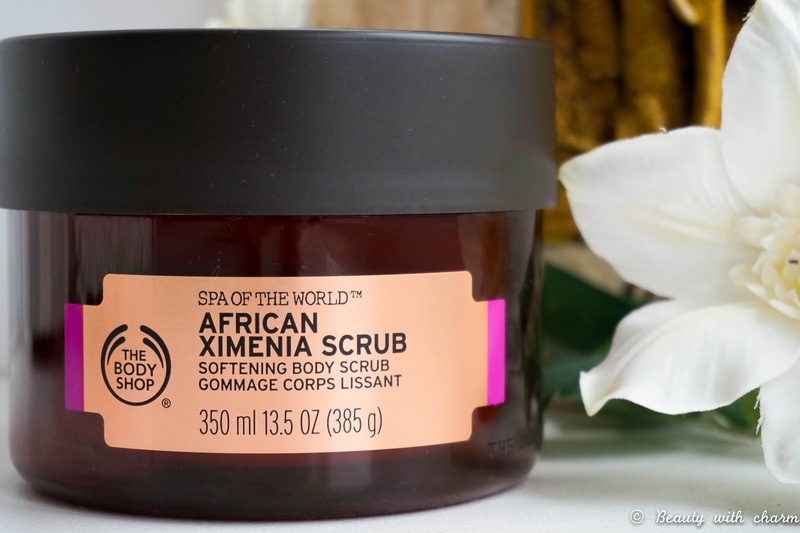 I opted for the African Ximenia Scrub as my first product of choice, even though I could have easily picked up every single thing from the range. Considering the higher price tag I decided to try this out first before moving on to anything else, but I do have my eye on one of the body clays next (super intrigued about the idea of using something like that on my body as I never have before). 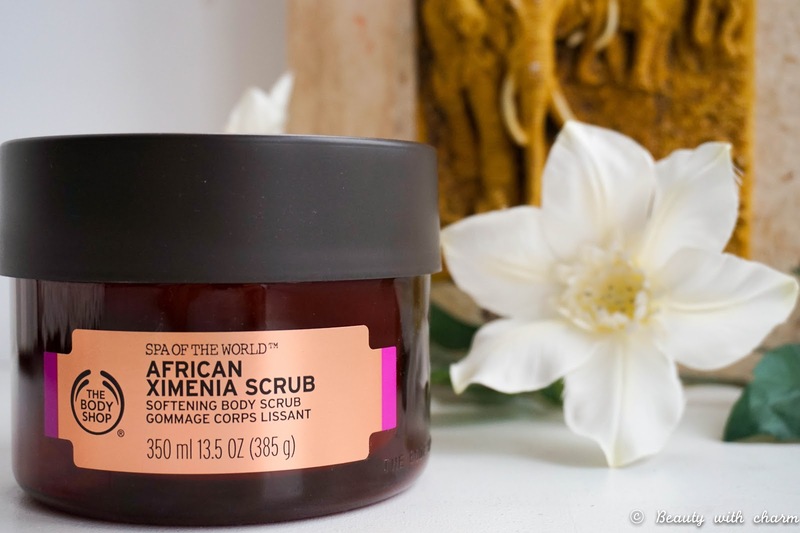 Getting back to the subject at hand though, the African Ximenia Scrub which is a softening body scrub containing Ximenia Oil from Namibia, Africa. I don't know about you but that fact alone excites me as it feels like I am experimenting a ritual from around the world. The texture of this scrub is super buttery and soft with very fine granules, so it definitely caters for a more gentle exfoliation on the skin. If you're looking for something coarser to give you a full, deep exfoliation I would suggest opting for the other scrub available, the Dead Sea Salt Scrub from the Revitalising Ritual. I on the other hand prefer this kind of buttery texture with fine, gritty granules even if I don't exactly get the deepest exfoliation result. The instructions suggest using this on damp skin, but after trying it out myself I would have to disagree here… sorry The Body Shop, but I personally find it works much, much better on dry skin just before hoping into the shower. 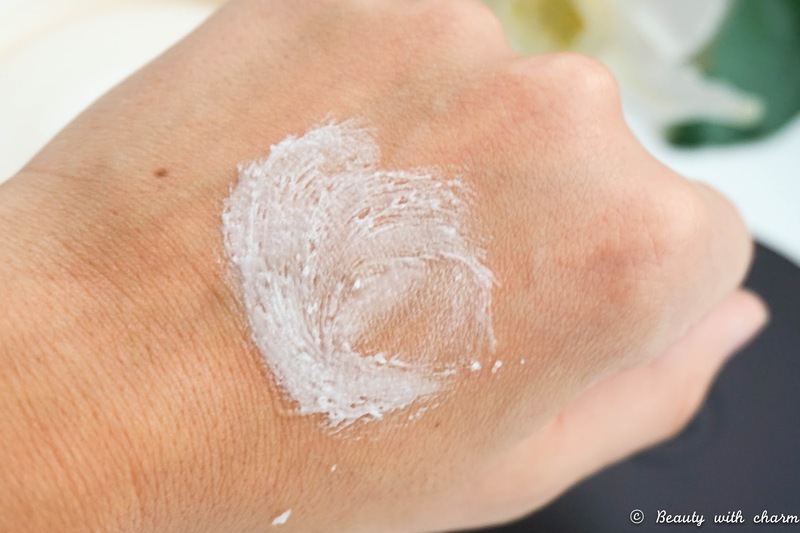 This method does need a little bit more elbow grease to really work through the buttery texture and exfoliate the body fully, but I personally think the finished result is worth it. What I didn't like about using this on damp skin, is that I felt like the buttery texture just instantly melted away, which in turn gave me a barely there exfoliation result (so gentle that I didn't even feel it). 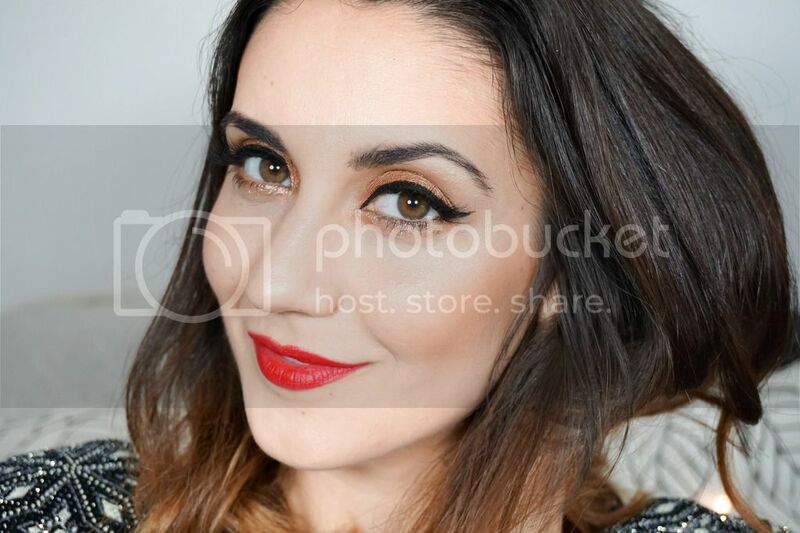 Plus it also made me use a lot more product than necessary and for the £18 price tag, you don't really want to be wasting any of it. That's why I would personally suggest using this scrub on dry skin, even if it needs that little bit more effort from you to apply it & work it into the skin.